The COAL Art and Environment Prize 2016 was awarded to artist Angelika Markul for his project Tierra del Fuego. 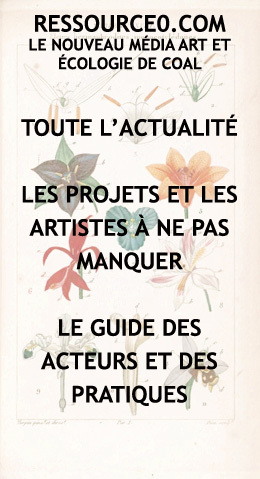 The laureate was selected by a jury of personalities of contemporary art and ecology among ten shortlisted artists, at the Ministry of Environment, Energy and the Sea on 12 October 2016. The event was was inaugurated by Minister Ségolène Royal who recalled the essential role of artists to renew our relationship with nature. 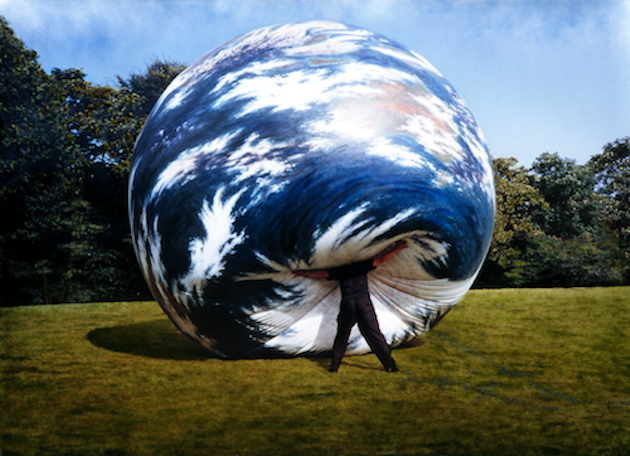 In eight editions, the COAL Prize has become the international rendezvous for artists who take up the main universal challenge of our time: ecology. This year, nearly 250 artists from 46 countries representing the six continents competed in the international open call. 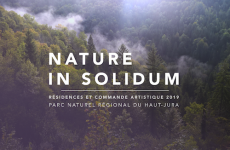 The ten nominated artists were selected for the aesthetic qualities of their proposals, their relevance to environmental issues, their inventiveness, their ability to transmit and transform, and their social and participatory approach. Together, they demonstrate how creation, in its diversity of forms and actions, is a key force in shaping the future of our societies. 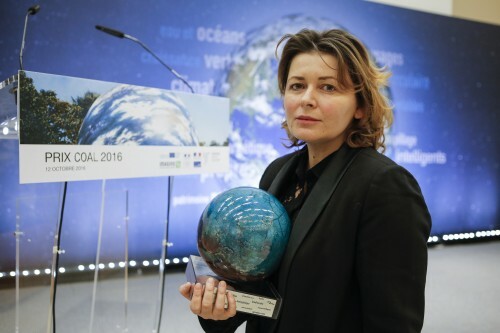 Angelika Markul (France, b.1975, Poland) was awarded the 2016 COAL Prize for her project Tierra del Fuego. 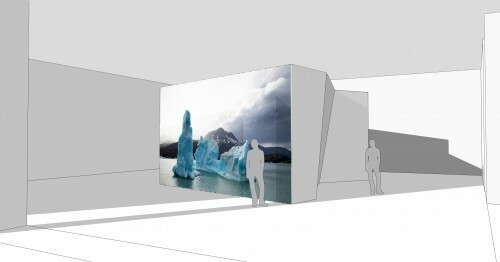 Angelika Markul cultivates the desire to film and sublimate in a monumental video installation the gradual disappearance of the Tierra del Fuego glacier. This exceptional frozen archipelago, consisting of a main island and a multitude of small islets, is located in the extreme south of the American continent between Argentina and Chile. The exceptional and characteristic landscape of this region of the world is disappearing progressively under the effect of climate change in the same way that this land occupied by the Amerindian civilizations for 12,000 years was decimated by the Europeans. Tierra del Fuego confronts the extinction of civilizations and their traditions with the future erasure of the landscapes caused by the climatic upheavals. Through digital manipulation of the image, the artist makes visible and accelerates the melting process of the glacier, creating a new landscape that belongs only to the mind of the person looking at it. This sublimation of danger challenges the viewer with modesty, sensitivity and poetry. In parallel, the artist brings together a series of phenomena and influences that together make up a symphony of the end of the world: drawings evoking the lost traditions of yagans and alakalufs, nomadic fishermen of Tierra del Fuego; the mylodon, this endemic prehistoric animal now extinct; or the Iluvia lenta (“slow rain”) of the Chilean poet Gabriela Mistral, who calls for a necessary reconnection with Mother Earth. The soundtrack evokes two exceptional sound phenomena: the sound of powerful and agonizing trumpets, which was heard and filmed by people from the four corners of the earth and spread like wildfire on the Web and in the media – until today no one knows if it came from the earth or the sky; and the recent recording by NASA of the sound of the Earth. Tierra del Fuego sublimates the current tensions between science, spirituality and environmental crisis, through a multi-media installation that envelops the viewer in an ambiguous, complex and dark world. 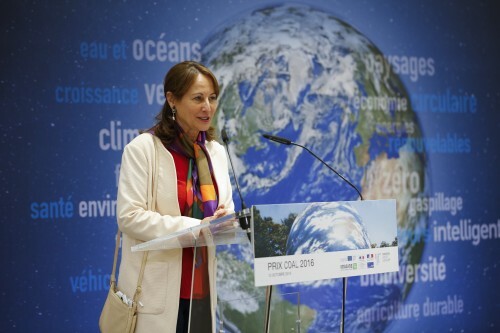 Under the patronage of Madame Ségolène Royal, the French Minister for the Environment, Energy and Sea, and supported by the French Ministry of Environment, Energy and the Sea, the French Ministry of Culture and Communication, the European Union and the Imagine2020 network, the Musée de la Chasse et de la Nature and the François Sommer Foundation.